OneSight believes clear vision is a basic right, not a luxury. We're committed to helping people see more clearly through clinics, research and education programs. Partnering with a range of community and government organizations, our local screening clinics provide free eye health checks, eye exams and glasses to those in need. Vision vouchers in Luxottica affiliated stores provide new eyewear free of charge. In partnership with community organisations; the Salvation Army and Mission Australia we're able to access people who currently "fall through the gaps". Luxottica's employees are able to make regular contributions to the OneSight Foundation through workplace giving. 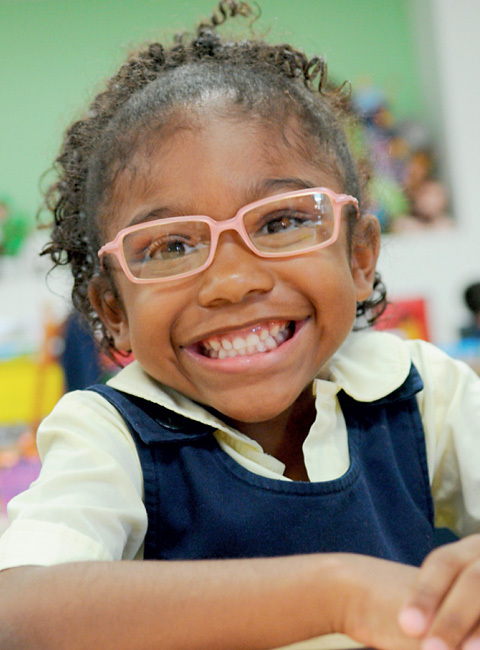 Luxottica's extensive retail network provides a great opportunity to raise funds for OneSight. Our retail stores, including OPSM, Laubman & Pank, Budget Eyewear, Bright Eyes and Sunglass Hut accept public donations and hold local fundraising events in support of OneSight. Luxottica collects pre-loved glasses from customers, repairing and hand-delivering then to clinics in developing countries. Luxottica's Australian and New Zealand employees join with our global colleagues to run clinics in developing countries throughout the world. Each clinic is designed to assist up to 30,000 people over a two week period.